Hello dear Musicmaniacs around the world! 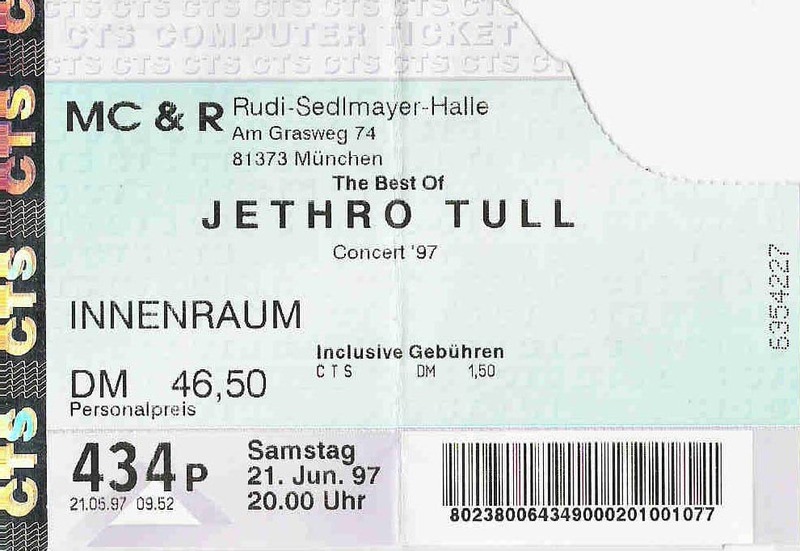 On the 21st June 1997 I attended another Jethro Tull gig – this time in Munich at the Rudi-Sedlmeyer-Halle. And this one was very remarkable because the setlist was full with fine surprises like „A Song for Jeffrey„, „Skating away“ or „Acres Wild„! And as another surprise Mr. Leslie Mandoki joined the band for the tune „Back to Budapest„. Mr. Don Airey (Keyboard Player), who toured with the band during the „Crest of a Knave“ worldtour in 1987, was born back in 1948! Happy bday!